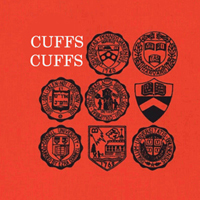 Hey, look, three new songs (O.K., demos) from CUFFS, the new band of two-thirds of Pants Yell! They’re a little muddier than the crisper-than-autumn-air last Pants Yell! record (because, lo-fi lusters, they are demos) but the songs themselves are bold and bright and great. Keep an eye on the band’s Bandcamp for more.